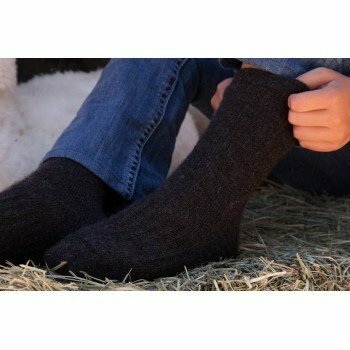 100% Alpaca with just enough nylon and elastic to make a great sock - that's it, soft and yummy. Thick, soft terry on the inside; extra reinforcement on the heel, toe and ball of foot. Extra arch support that hugs your foot.